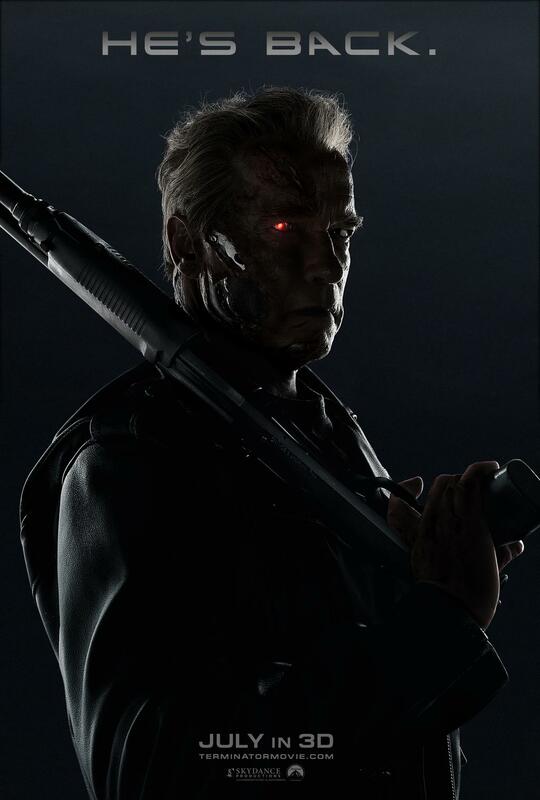 DAILY VARIETY columnist Michael Fleming reports producers Mario Kassar and Andy Vajna plan to develop TERMINATOR 3 and TERMINATOR 4 simultaneously. the modern-day story of an adult John Connor, and mankind's first battle with Skynet. David Wilson (Supernova, Rollerball) is writing T4, where Earth has been ravaged by nuclear war between humanity and Skynet. I don't know if anyone was interested so I decided to post it anyway. Personally though, as far a temporal paradoxes go, there should be a T3. Why? John Conner. His father is from the future, a soldier sent back to the past. In the end of T2 supposibly they stop Judgement Day, but since John Conner still existed at the end the war still happens. Because if the war didn't happen, John's father would of never been sent to the past and John would not of been born. Calvin: "I'm a man of few words." Hobbes: "Maybe if you read more, you'd have a larger vocabulary." Federation Starship Datalink - Now with a pop-up on every page...damn you Tripod! A fourth, huh? Poor Arnie, he'll be a senior citizen by the time they blow that stupid computer up. -I thought I was pisces! But how can there be another skynet, when the computer chips it was based on were destroyed? The only way I can figure it is that they have to describe how skynet was originally created, before the time loop was started with the first terminator going back in time. The story certainly has potential, but I'm not waiting with baited breath. I love a good, topical necro. So how to they explain an aged Terminator? I don't know, but that trailer looked horrible. Like Syfy presents The Terminator horrible. Like Syfy presents The Terminator horrible. Terminado, wherein only that guy from Beverly Hills, 90210 can stop a tornado full of time-traveling cyborgs. But how can there be another skynet, when the computer chips it was based on were destroyed? The only way I can figure it is that they have to describe how skynet was originally created, before the time loop was started with the first terminator going back in time. Do you remember a time when movie sequels adhered to in-universe conditions to stay plausible? Pepperidge Farm remembers. One: Let me just say in honor of the thread...IT'S ALIVE! Second: I have no idea how much handwavium they had to deploy to explain Arnie's age here, but who ever owns the mine they bought it from is probably a rich man right now. Holy thread revive Batman! And it was mine from way way back in the day. I'm actually surprised that Tripod for my website still works. Unfortunately I didn't renew my domain name and someone bought it.